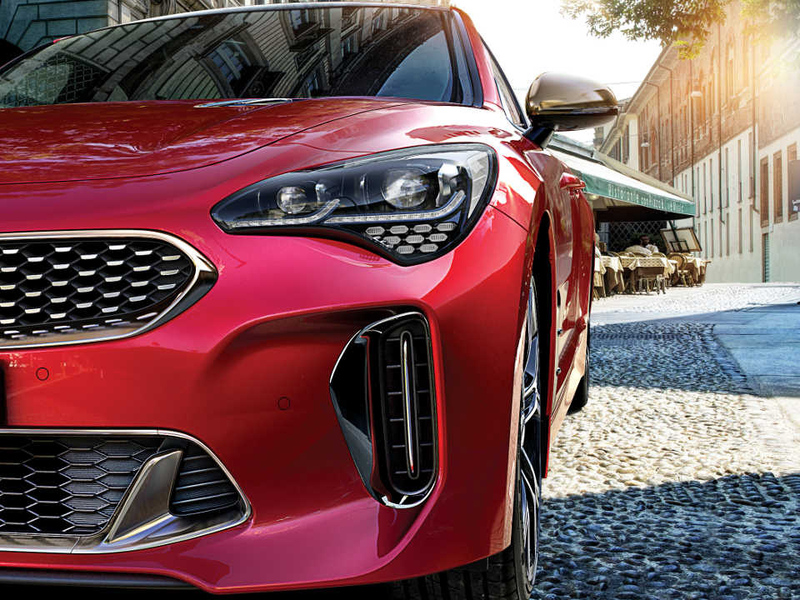 Designed in Kia’s European studio under the hand of Kia's Head of Design, Peter Schreyer and tested on the grueling Nürburgring, the Stinger is an uncompromising rendition of the true Gran Turismo ethos - nimble and fast, luxurious and quiet with the perfect balance of ride and handling. 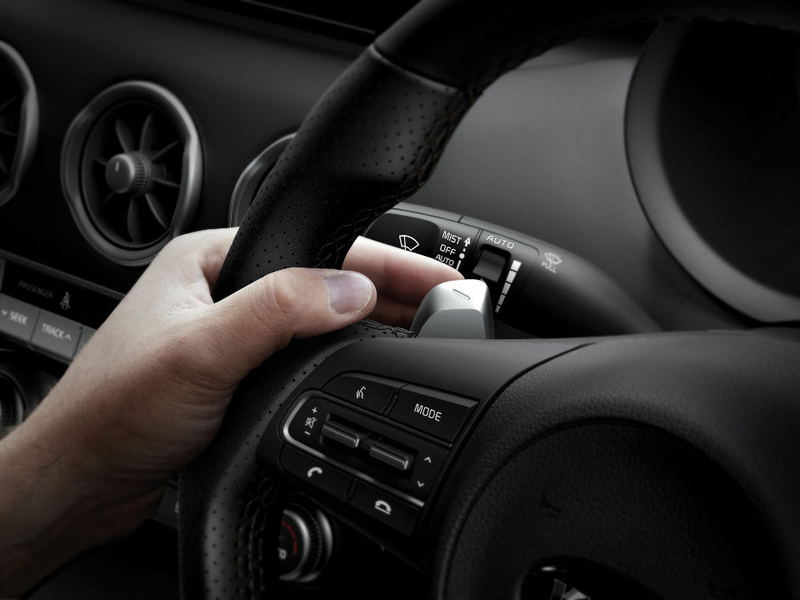 The Stinger is equipped with full LED bi-function headlights, with both the high-beam and standard beam projecting from both units. 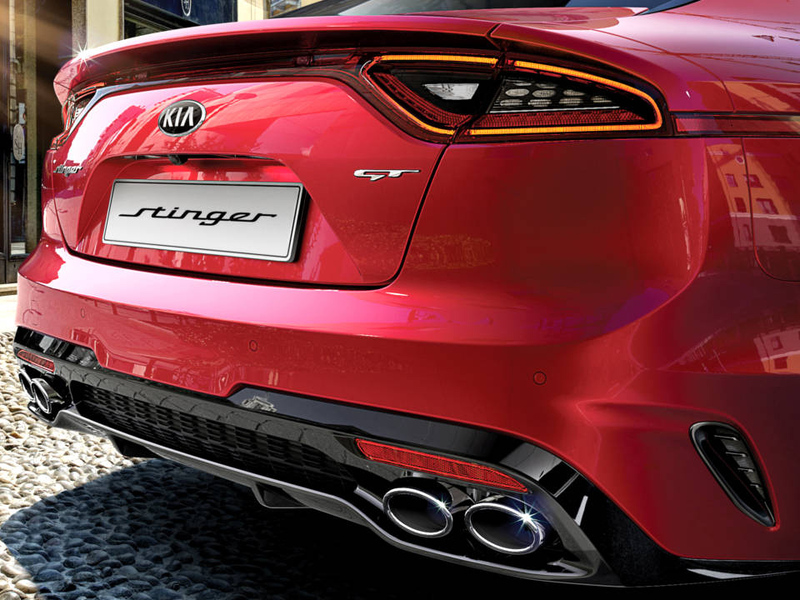 The LED rear tail lights are a design feature directly from the original 2011 GT concept and is a signature look of the Stinger. 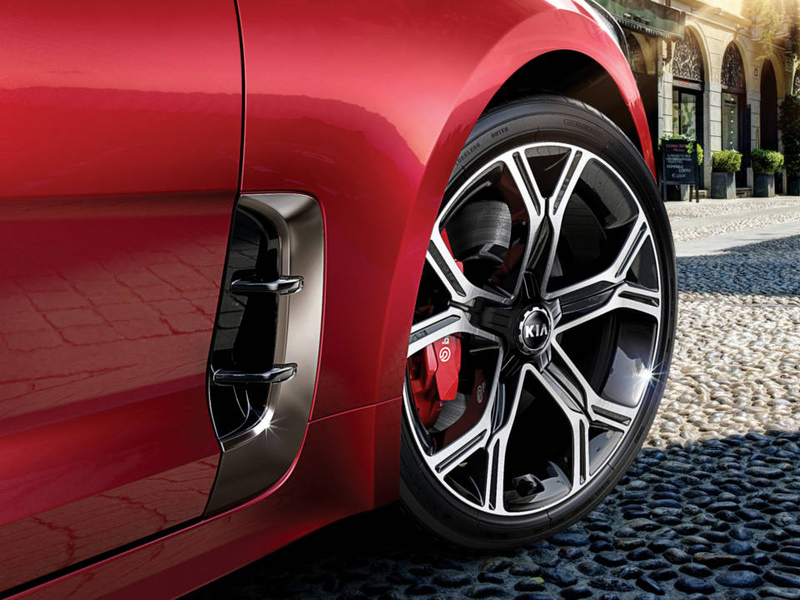 Each model of the Stinger is equipped with alloy wheels, with the 18" alloys on EX Turbo and different designed 19" alloys for GT Line and GT Sport. 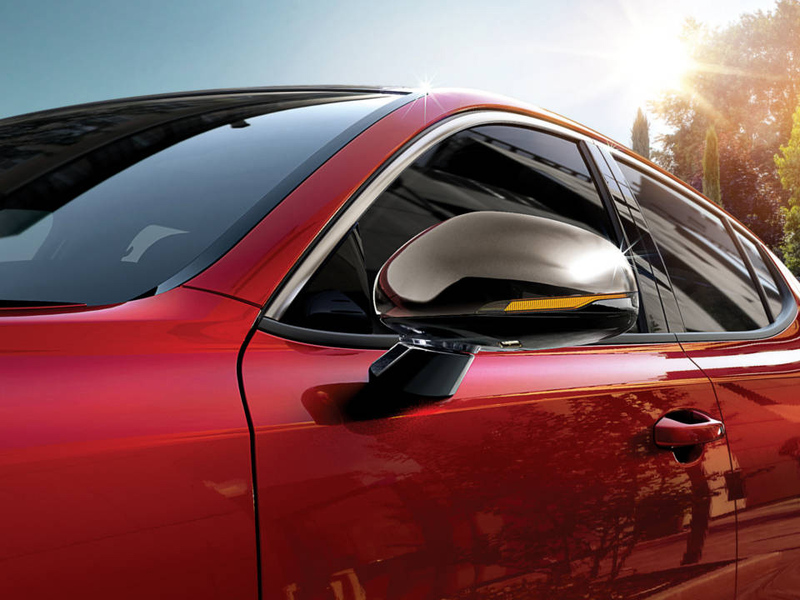 The wing mirror is aerodynamically designed to reduce drag. 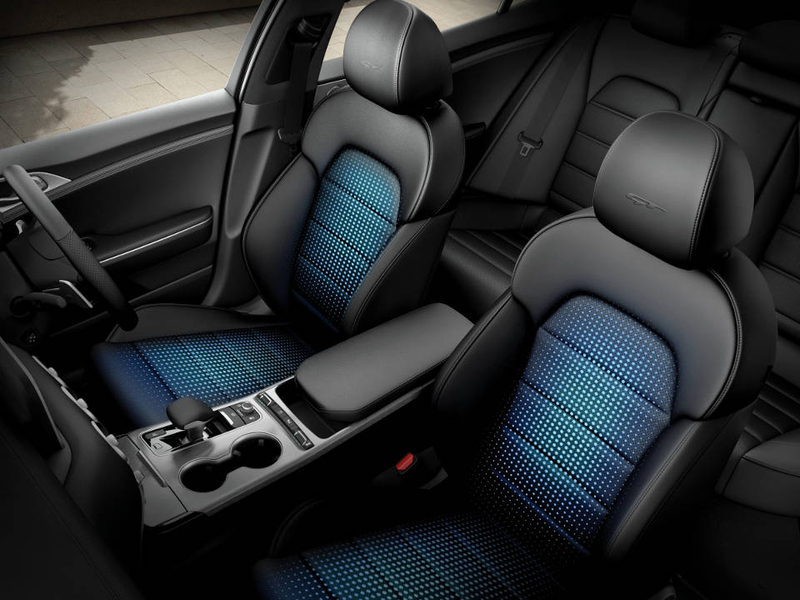 It is also heated, folds away and uses electrochromic mirrors to reduce the glare from vehicle headlights behind. Intimate yet expansive. 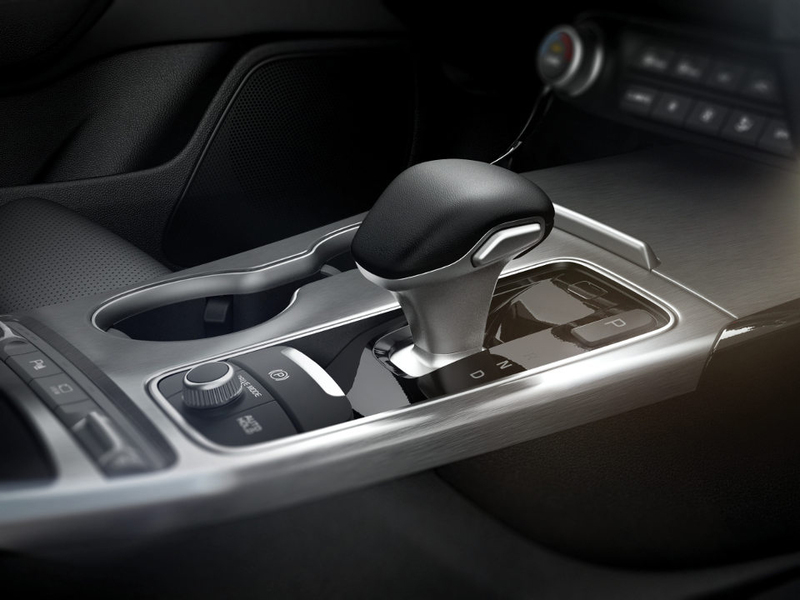 Minimal yet luxurious. 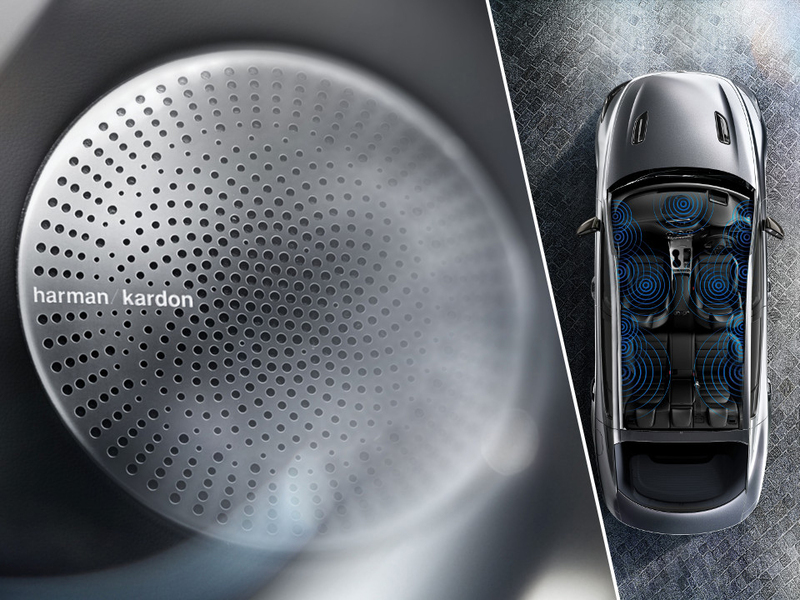 The cocoon-like interior features aircraft like-styling, metal-ringed gauges, and satin chrome trim. 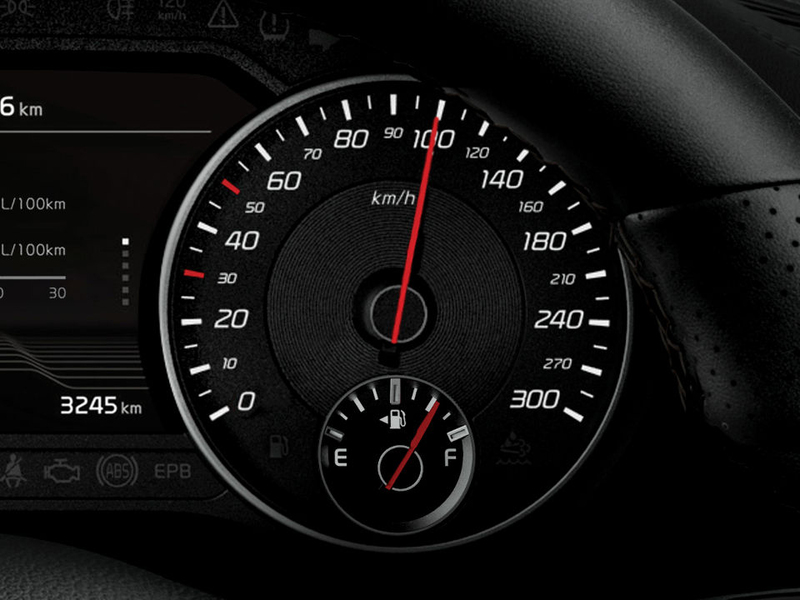 The 7˝ TFT LCD landscape cluster display nestled between the cluster gauges displays vehicle and driving information with outstanding visibility. 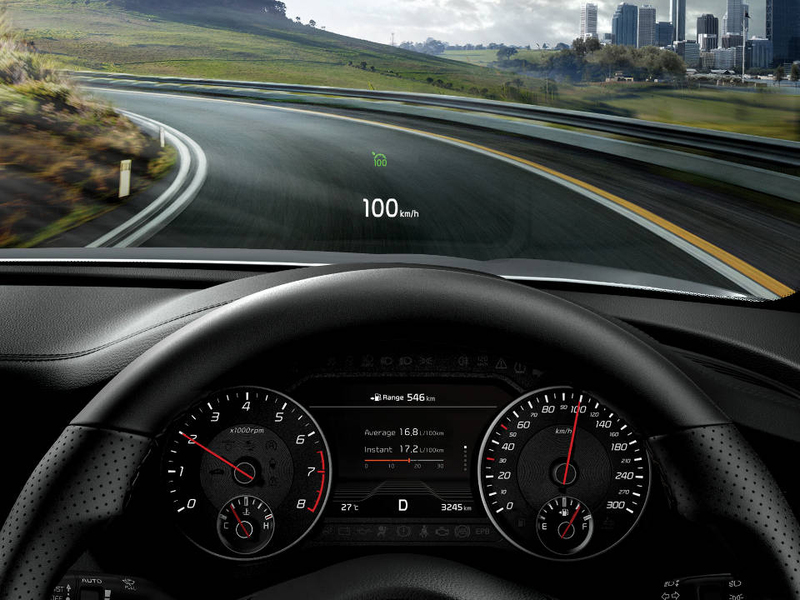 8" Touchscreen available on 2.0 GT LINE & 3.3 GT Sport. The all new Stinger can charge your compatible smartphone. 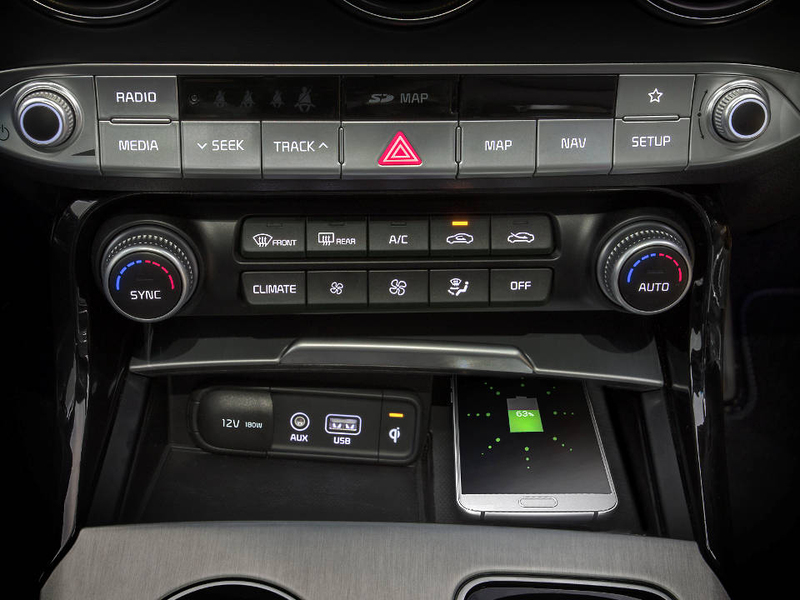 The centre console tray will let your phone charge, and will alert you when you leave the vehicle and leave your phone behind. 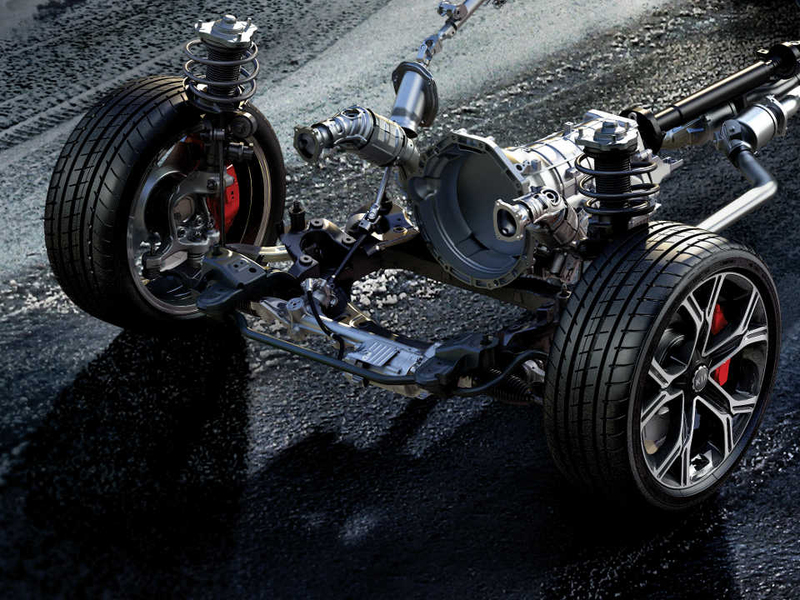 Available on 3.3 GT Sport. 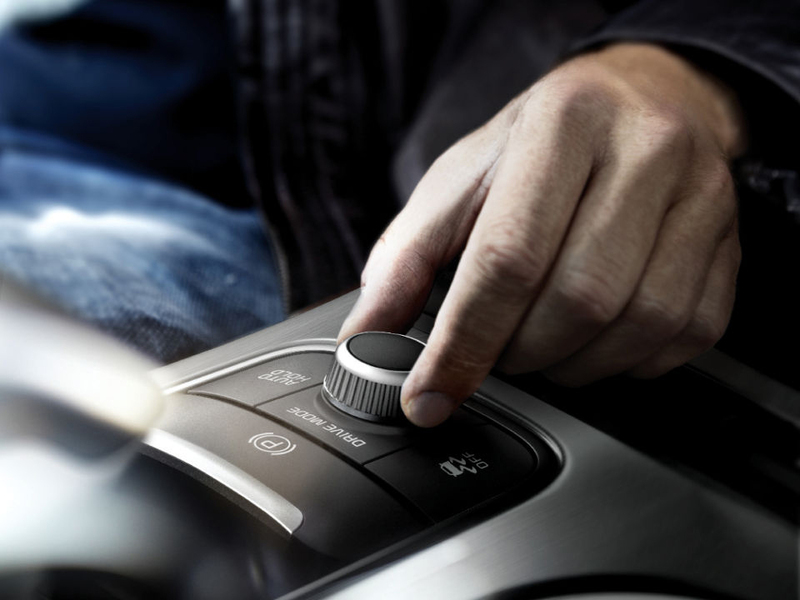 The first row passengers can enjoy heated seats during cooler weather, while front passengers also benefit from soothing cool airflow on warm days. 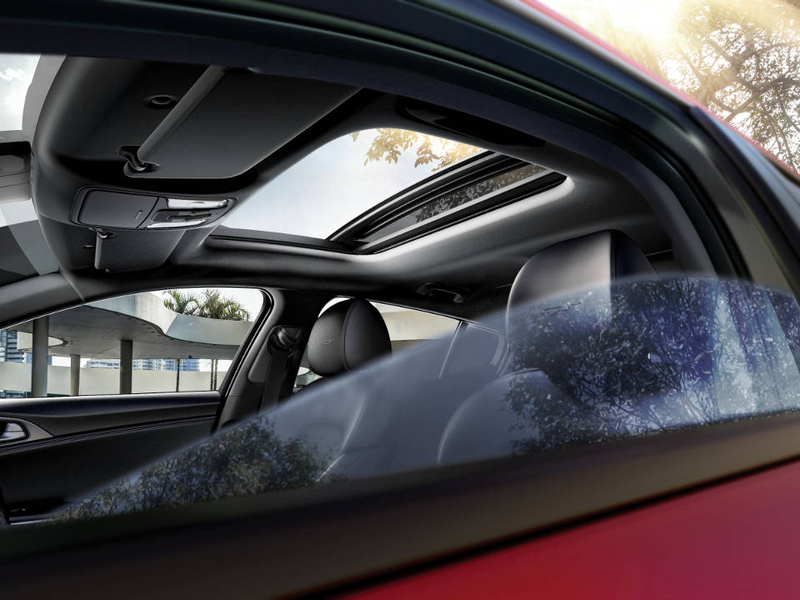 Sunroof available on 3.3 GT Sport. 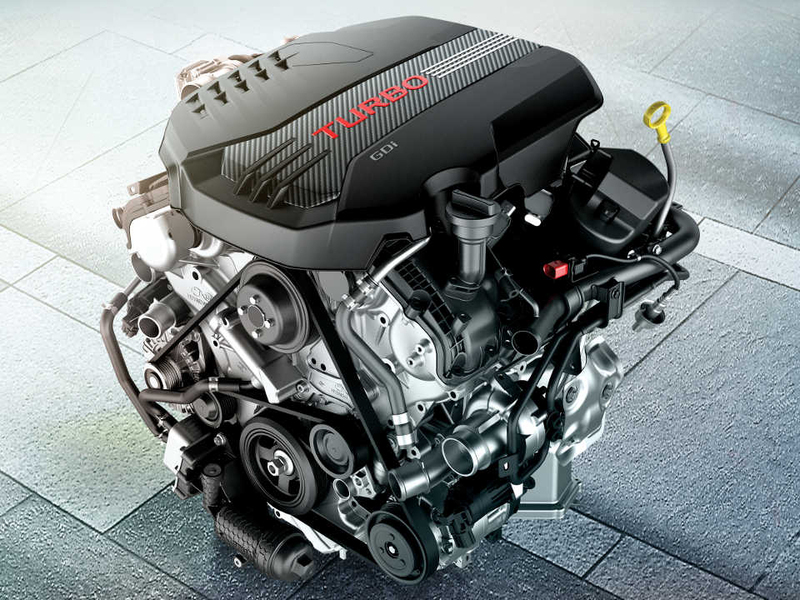 3.3L Twin Turbo V6 engine standard on 3.3 GT Sport. 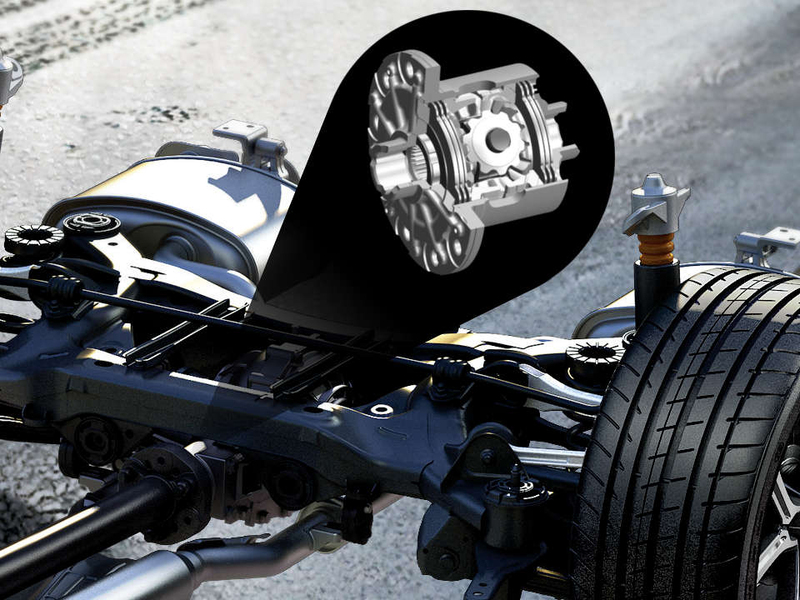 DSDC available on 2.0 EX Turbo, 2.0 GT Line & 3.3 GT Sport. 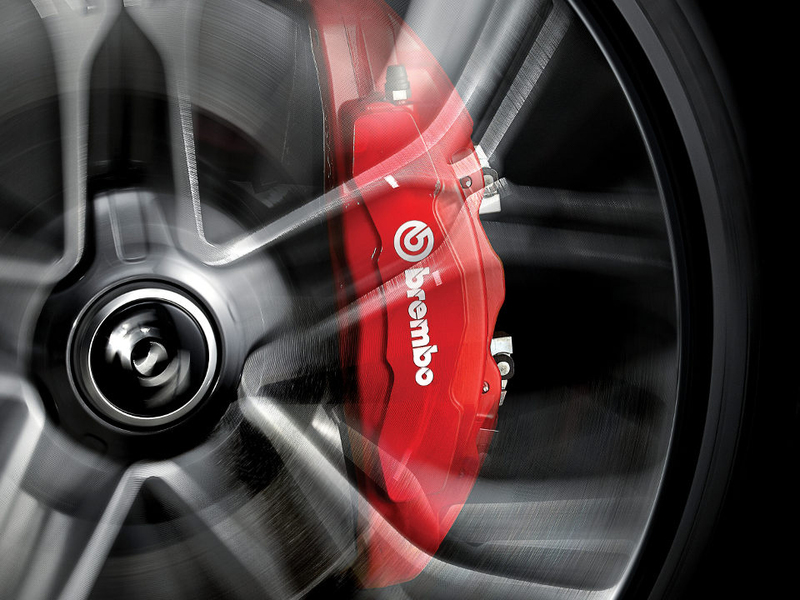 Mechanical Limited Slip Differential available on 3.3 GT Sport..
Brembo® brakes available on 3.3 GT Sport..